A British mountain climber died in the Himalayas after his guide missed signs of altitude sickness. Andrew Dean, from Wimbledon, was on an 11-day trek through the Pir Panjal region in northern India in October 2012 when he died. Your Local Guardian reports that an inquest on Friday heard that the 57-year-old retired civil servant was one of the "fittest" of the group in the first days of the trek. He soon started to complain of being tired and having restless nights. His guide, 'Bally' Singh, offered Mr Dean Diamox to treat altitude sickness but when he refused Singh said he could be carried up the final ascent by pony, which he accepted. This Is Local London reports that on the descent Mr Dean's health began to deteriorate and he turned "yellow". Mr Dean collapsed and died soon after arriving back at the camp. His cause of death was confirmed as cardio respiratory arrest and pulmonary oedema caused by altitude sickness. In court, professor Micheal Mythen, an expert in mountain sickness, said: "A general rule is not to use ponies if you think they might be showing sickness of acute mountain sickness." 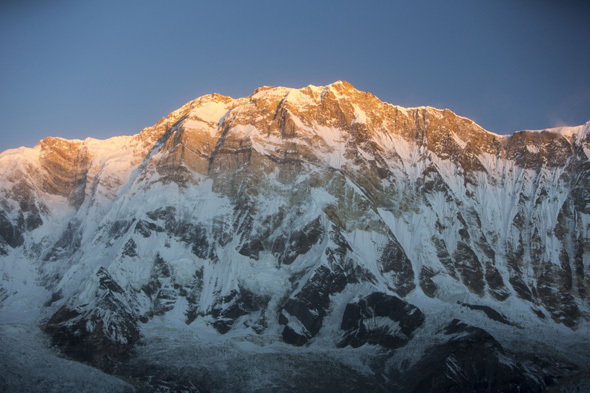 In October, a British pensioner died in a landslide while climbing in the Himalayas. Alan Slater, 67, was killed when the landslide struck as he returned from climbing the 17,100ft-high Shetidhar peak.